YHA Malham v Skipton, Anglie: Zarezervujte nyní! 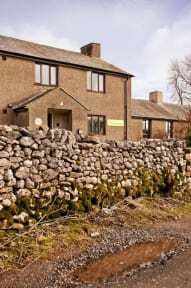 Surrounded by classic limestone scenery the area is famed for, this fantastic hostel lies within a pretty village in the heart of the Yorkshire Dales. YHA Malham has recently undergone a large renovation, providing it with refurbished bedrooms, a smart new restaurant and updated self-catering facilities. Malhamdale’s scenery is stunning and the Pennine Way passes close by, making this a rambler’s paradise with routes aplenty. For climbers, Malham Cove and Gordale Scar offer some of the toughest limestone ascents in the world. If cycling is more your thing, the Yorkshire Dales Cycle Way runs through the village and offers a classic ride for cyclists of all abilities. The hostel is also equipped with free Wi-Fi and free parking. In addition, YHA Malham features heated camping pods, part of YHA’s ever-expanding Camping and Cabins offering. This hostel boasts a recent £460k renovation with all 19 bedrooms having been refurbished. Breakfast not included - 6.25 GBP per person per day. This hostel is part of the Youth Hostels Association of England & Wales, which is a membership organization. The prices quoted are member's prices. 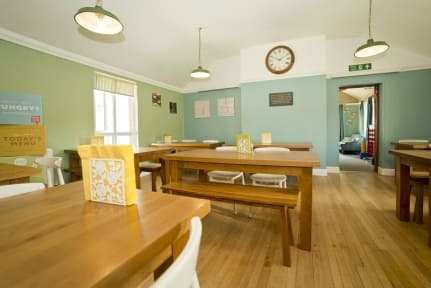 A non-members supplement of 3.00 GBP per person per night will be charged on arrival for those guests not in possession of a valid YHA England & Wales or equivalent IYHF/ Hostelling International membership card.